Perfect home located in the Landmark section of Fiske Terrace. Center hall with marble floors that leads into a large dining room on one side, guest hall bath. French doors open to the bright formal living room with a working wood burning fireplace, that is surrounded by built in book shelves and cabinets. Spacious eat-in-kitchen. 2nd floor has three large bedrooms, and 1 & 1/2 full baths. The master bedroom enjoys a private en suite bathroom with spacious his and hers walk in closets. There are two additional bedrooms, both with roomy built in cabinets. 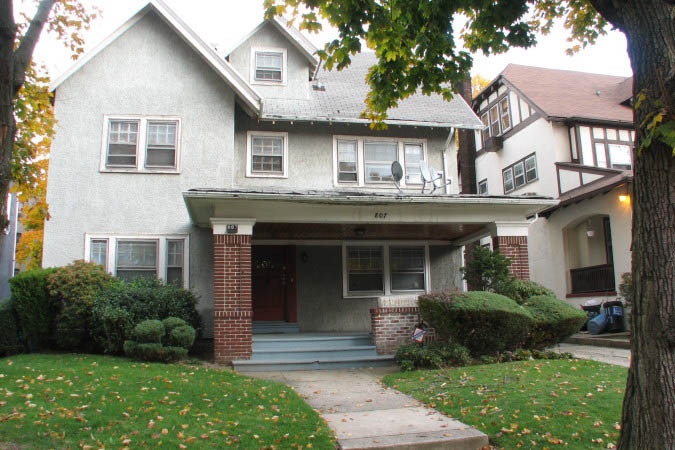 3rd floor has two large additional bedrooms with walk in closets, and a full size bath. Two car garage and space for 4 cars in the private driveway. Located two blocks to the Q & B train, Brooklyn College. Near shopping Target Center, cafes, and restaurants. Enjoy country living just minutes to Manhattan.